This is a suggested checklist of activities for the beekeeper. Note that weather, climate, neighborhood and even the type of bees you have will influence such activities. The list gives you an overview of what's going on each month in the hive. It also suggests some important tasks for the beekeeper, and provides a rough estimate of the amount of time you might spend with your bees during a given month. Check this site frequently for additional detail and special notes. The queen is surrounded by thousand of her workers. She is in the midst of their winter cluster. There is little activity except on a warm day (about 45-50 degrees) when the workers will take the opportunity to make cleansing flights. There are no drones in the hive, but some worker brood will begin to appear in the hive. The bees will consume about 25 pounds of stored honey this month. 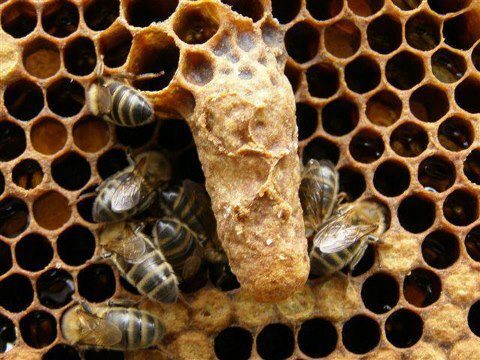 The queen, still cozy in the cluster, will begin to lay a few more eggs each day. It is still "females only" in the hive. Workers will take cleansing flights on mild days. The bees will consume about 25 pounds of honey this month. 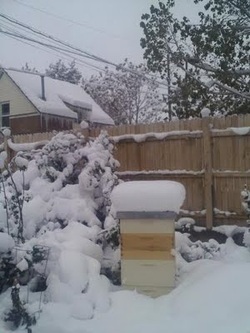 Unswarmed colonies will be boiling with bees. The queen's rate of egg laying may drop a bit this month. The main honey flow should happen this month. Inspect the hive weekly to make certain the hive is healthy and the queen is present. Add honey supers as needed. Keep up swarm inspections. Attend bee club meetings and workshops. Time Spent: Estimate 4-5 hours. No more chance of swarming. Watch for honey robbing by wasps or other bees. There is not too much for you to do this month. Have a little holiday. Time Spent: Estimate about an hour or two. The drones may begin to disappear this month. The hive population is dropping. The queen's egg laying is dramatically reduced. Not much activity from the bees. They are hunkering down for the winter.